Victoria has been doing agility with her dogs for over 15 years and has been an instructor with Roadsters since 2011. 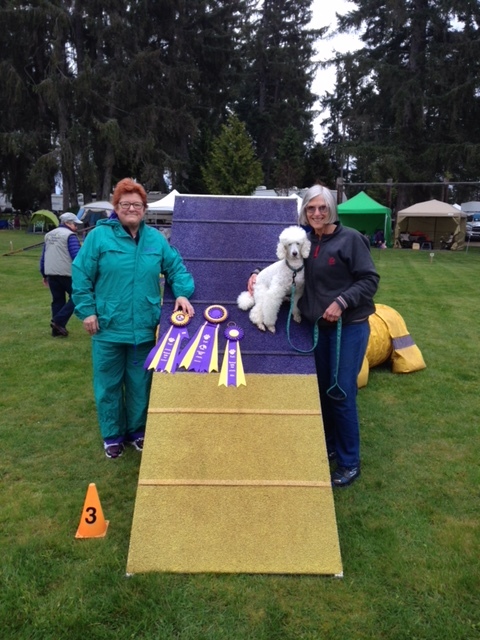 She has Agility trial champion (AtChC) titles on her first agility dog, a rough collie named Kurzon and on her rough collie, Trip and her border collie, Riker. Both Trip and Riker have podium wins. 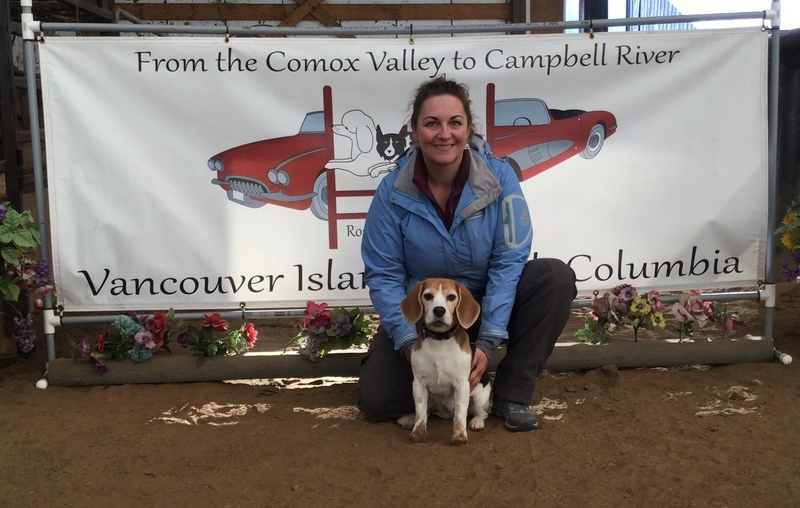 Victoria attends many agility seminars each year all over B.C. and brings the information back to her students. She believes in reward based training and that the dog part of the team is rarely ever wrong. Her day job as a veterinarian keeps her fairly busy too! Ivy first discovered agility when she got her first beagle in 2000. 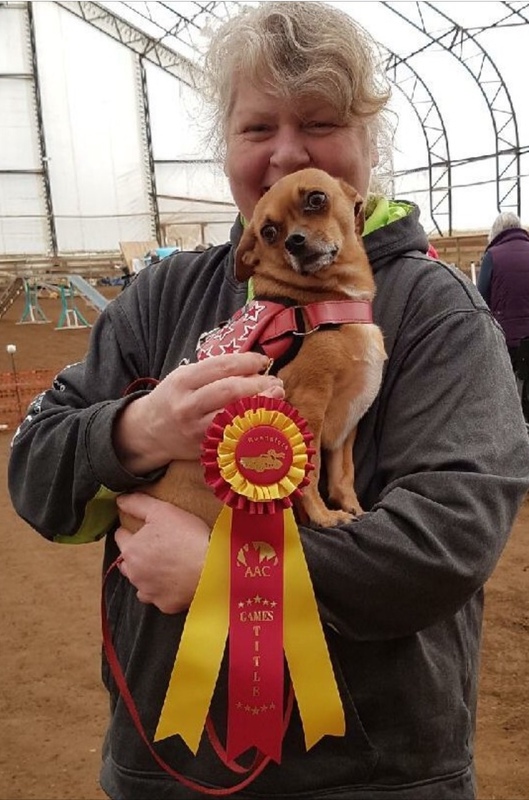 She started competing in 2003 and has Agility Trial champion titles on her dogs as well as multiple podium placements at regionals and nationals. She is a masters level judge with AAC, a UKI judge and is trial secretary for Roadsters. She was the regional director for AAC Vancouver Island region. She has been an instructor for Roadsters since 2011 and believes in positive reinforcement based training. She has worked at TD Canada Trust for 25 years and is an account manager, small business. 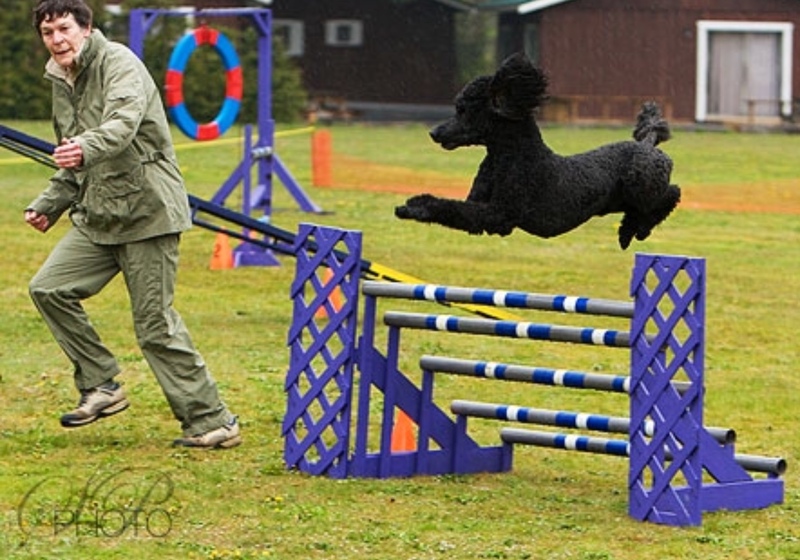 This enables her to participate in the sport of agility that she has become addicted to. Barb has been participating in agility for almost 20 years. She started with her first poodle Shea in 1999 as a break from obedience training and has been playing ever since. 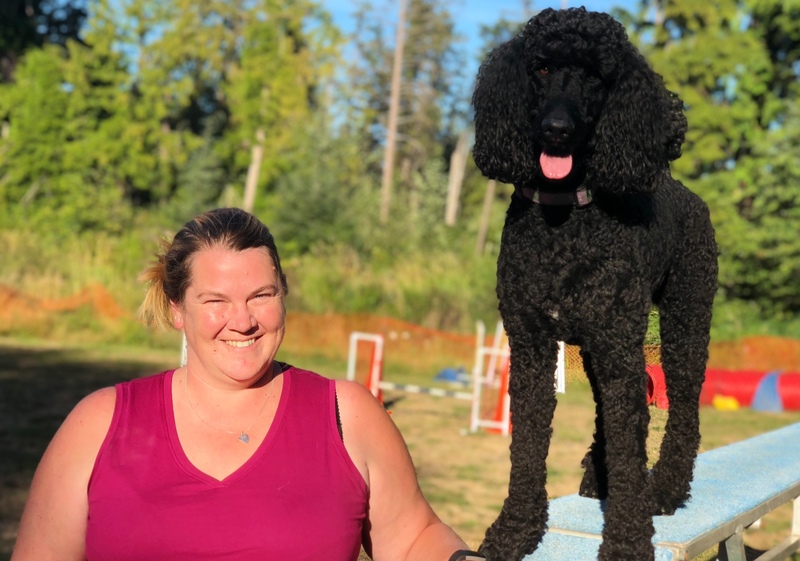 Barb has trained and trialed 2 standard poodles and one mini, each of whom completed the requirements for Agility Trial Championship with the Agility Association of Canada. Although all three of her dogs were poodles, they were all extremely different and provided her with different challenges to work through in order to accomplish what they did. Barb has been a student of agility with Kim Collins of Prince George and continues to learn as an online student of Susan Garrett in several of her courses and programs.Barb adamantly believes that to have a good agility dog, it’s necessary to have a strong foundation and now teaches primarily in the puppy or introductory training classes for Roadsters to help others to develop that foundation. 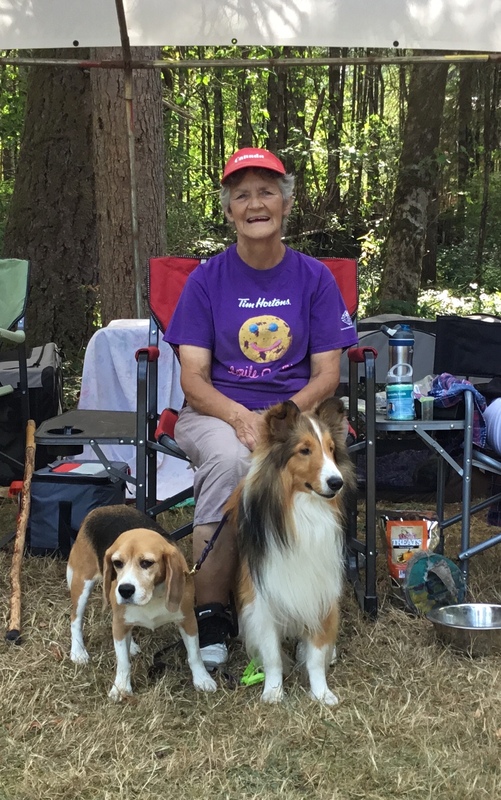 Lorraine has been doing agility since 2004 with her beagles. She was an assistant instructor starting in 2011 and an instructor from 2016 to the present. She enjoys helping handler and dog achieve success in agility while having fun in the process. She loves helping people in classes and at trials. Sherry became an assistant instructor with Roadsters in 2013. She is passionate about chihuahuas and shelties and agility. She competes with her 3 chihuahuas and her one sheltie. She loves learning about agility and instructing. Sherry is a veterinary technician. Margot began as an assistant instructor in 2004. Although arthritis prevents her from running in agility now, she has enjoyed training and trialling her standard poodles. She assists beginner classes because she loves to see the partnership develop between handler and dog. She helps the club whenever she is able to. Nicole has been participating in agility since 2004 and like any student of the sport is constantly learning new techniques. She has enjoyed training her standard poodles over the years. She enjoys facing the challenges that each individual dog can bring to its owner, and the different training methods that can be used to bring out the best in each. Nicole firmly believes that at the heart of agility training is the goal of having fun and building a relationship with your training partner – your dog. She is an assistant trainer and enjoys helping people build the foundations with beginner dogs and puppies.